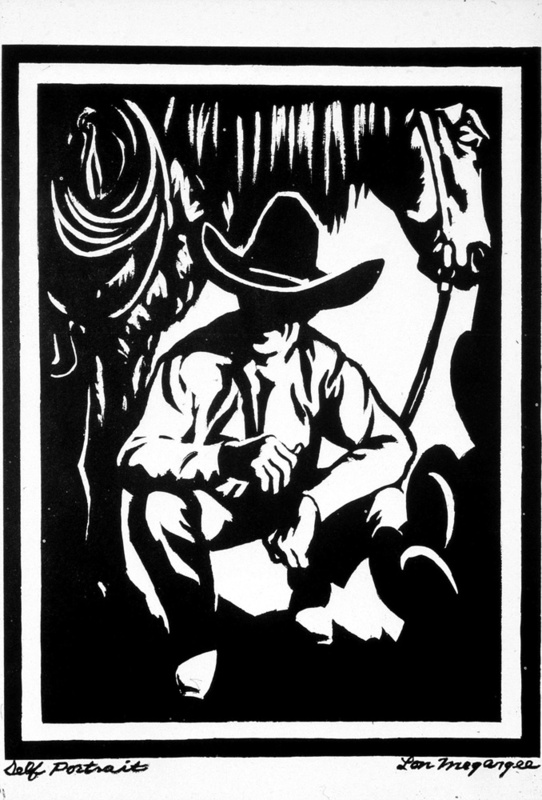 Lon Megargee (1883-1960) came to Arizona in 1896, and after a decade as a cowboy, decided to give up ranching for painting. At statehood, he executed fifteen murals for the State Capitol, and for nearly half a century he was intertwined with significant events and institutions connected with this state’s history. 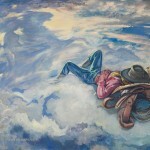 One of his best-known paintings remains “The Cowboy’s Dream,” one of a series that was used to advertise the best brand produced by the Arizona Brewing Company, A-1 Beer. 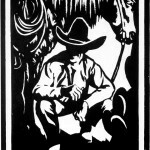 Another image by Megargee, “The Last Drop from his Stetson,” is still used by the Stetson Hat Company. 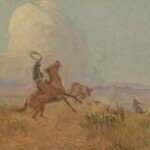 As did many of his fellow artists, he received patronage from the Santa Fe Railway Company, and his most characteristic themes were the desert landscape, Native Americans, and the cowboy. 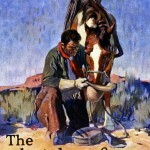 His tale is a good Arizona story, and in his art he portrayed many of the central myths of the West that absorbed his more famous contemporaries, Frederic Remington and Charles Russell—a tradition carried on by the Cowboy Artists of America (founded 1965). His life was as interesting as any portrayed in movies and novels, and Megargee’s story is intertwined with that of Arizona. Additional Audio: Betsy Fahlman never expected to study cowboy art. 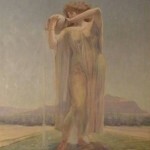 Additional Audio: Betsy Fahlman shares a portrait of Lon Megargee. Additional Audio: Betsy Fahlman talks about Lon’s draw to the west, and the possibilities for reinvention. 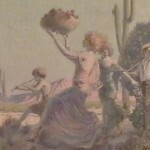 To see more of images of the Lon Megargee Statehood Murals, visit the Arizona Memory Project. Monday-Friday, from 9:00am-4pm. Admission is Free.